As Founder of Girl Child Network, I would like to inform the world that the story in HMetro Newspaper in Zimbabwe is false and as always targets my person for no apparent reason. I am based here in United Kingdom where most of my times I dedicate time to helping women and girls build girls empowerment clubs round the world. I do a lot of community work with many vulnerable girls and women. Just a year ago some young women and men who were assisted by Girl Child Network Zimbabwe whilst I was Executive Director approached me as Founder to support in rebuilding the leadership of the charity since the Board Secretary had allegedly moved to support her organisation Women Empowerment in Southern Africa(WEFSA) and unfortunately she had left many girls with no means of being assisted especially in transportation for those girls at risk of abuse. On 30 December 2013 I gave a grant to support a board meeting for Girl Child Network Zimbabwe but Edinah Masanga the Board Secretary did not show up and it is alleged she locked out some of her board members and efforts to have her attend meetings failed. It is at this board meeting that a proposal was made to expand the board and put more transparent systems in place. 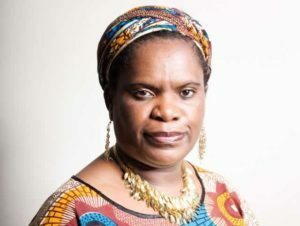 Since Edinah Masanga was absent and this board consisted a quorum , subsequent meetings approved that former members of Girl Child Network Zimbabwe be appointed to the board. There were initially 30 young women and men from various professions who wanted to join but after a very thorough selection process a team of six board members was put in place and approved by old board members. I then approached them with online training and I think for over a year now I have spent time and resources training this new board to run the organisation more effectively and effeciently so that girls do not call me for help but rather access services from Zimbabwe. For HMetro to call such young people thugs and such names and yet they have given their time and resources to the charity by helping so many girls is rather unfortunate. As Founder member of Girl Child Network Zimbabwe and as someone who is a mentor and coach to them, I do encourage a succession plan and it is always something I do with young people so that they also lead and give back their time and resources. Noone was hired to be a thug at all. The young men and women are former members and beneficiaries who have come to give back whatever they have. By doing so the charity cuts on overhead costs as the charity is purely a community based voluntary charity serving the most vulnerable girls in Zimbabwe. I therefore think given volunteer time and resources the young six professional board have given I need to mobilise support for them. The situation at the moment is such that young girls who need help still contact me on Facebook. I am very positive that if Edinah Masanga bows to truth and do handover and takeover with this team the issues being exaggerated in the HMetro Zimbabwe will evaporate. So much good work has been done and so many partners for this charity are coming on board to help. Edinah Masanga has a bigger load with her organisation WEFSA and I had a chat with her board many times who expressed willingness to support the transition from her to young women who are giving their full time to the charity Girl Child Network Zimbabwe. The story she has complicated to HMetro is a contrast of the so many efforts by the charity to rebuild and carry the work for girls forward. As a woman leader she should do the right thing and attend all meetings and forums by these young professionals. It does her and the charity no good to abuse government media to fake stories to defame other leaders. There is a clear misrepresentation of facts and she is abusing her position as former Board Secretary and in any case it is unethical to peddle lies. That said I also make an urgent appeal for any volunteers to help with audit and legal issues as that is what the charity needs urgently. Apparently Edinah Masanga has all 21 vehicles for the charity in her custody and none of them has been released for use by the girls. The only way to tackle this issue is to ensure she attends audit meetings going on. There is so much misinformation in her statements and a proper audit can help. Otherwise as Founder of Girl Child Network Zimbabwe I stand by all former members and beneficiaries of the charity who are doing everything to help other girls as much as they were helped during my leadership. I for one pledge my fullest support and will do all I can to get expertise for management, governance and audit. I urge you to keep focus because a girl does not need to call UK to access a service. There are enough leaders in Zimbabwe to put this in place. That said we are very positive that former members and beneficiaries of Girl Child Network Zimbabwe who are leaders and professionals in their own right will voluntarily come forward to offer time and their skills for the sake of many vulnerable girls in Zimbabwe. This is a very simple way of building capacity in Zimbabwe and many African countries for those who benefit or from our communities to give back and no matter how small. The past few years have shown me that Girl Child Network Zimbabwe has thousands of young women and men who support it in the country. As the Founder I am ready to support them reach their goals. Moreover through our legal team of experts soonest you will learn more of what has been happening in a more professional way. May I inform all that for a long time to come such women and media people will keep their defamatory stories targeted on me but let me rest assure you that nothing of what they write will make me stop the work for girls worldwide because for the past five years since I left Zimbabwe I have worked so hard to build a strong global movement for girls. I have donated all my time and resources and so many highly respectable men and women have given so much to this global movement for girls. I do have records of our work on both successes and challenges of the charity like many others, but to be frank these are issues with good solutions. We do have brains enough to tackle everything and thanks to world of technology for we can now reach out to most of you with another side of the story. Though my personal website I will keep you updated on support that Girl Child Network Zimbabwe needs and we thank all young men and women coming on board to help. We thank legal teams and volunteer auditors helping this charity.